I hope lots of young people will choose EVS in their near future, as this is an opportunity you will never forget in your life! 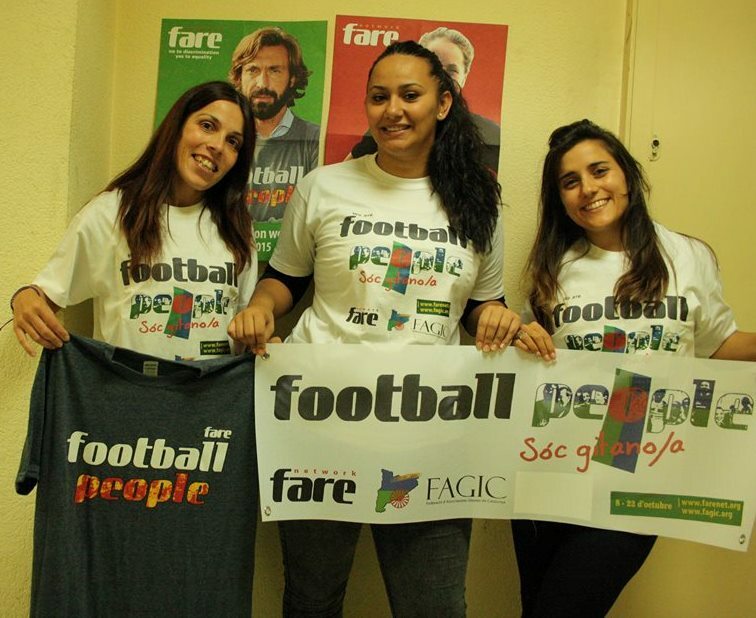 Sarah Tóth (on the right) with her colleagues at FAGIC. My name is Sarah, and I am 25 years old. I finished university last year and I have my diploma as a teacher. Besides my diploma I have 4 different professions as well, because for me to educate myself is very important. For instance I am a “Dance Ability” teacher, which means during this type of dance I am bringing together disabled and non-disabled people. But why I wanted to do EVS? – I do believe it’s a great opportunity for young people, and it’s give you a chance to make this world a better place! Voluntary service helps you to get to know yourself better as well; you get to know new cultures and have a “different” life as well. I am doing my voluntary service with FAGIC (Federación de Asociaciones Gitanas de Cataluna) in Barcelona, Spain. FAGIC is more than just an organization, you feel like being part of it as being part of a family, my colleagues here helped me and help me to feel comfortable here. I wish to have more organizations like FAGIC, which works for Roma rights.